The program for analysis of high-throughput screening data and generally for analysis of data sets containing multiple chemical compounds. 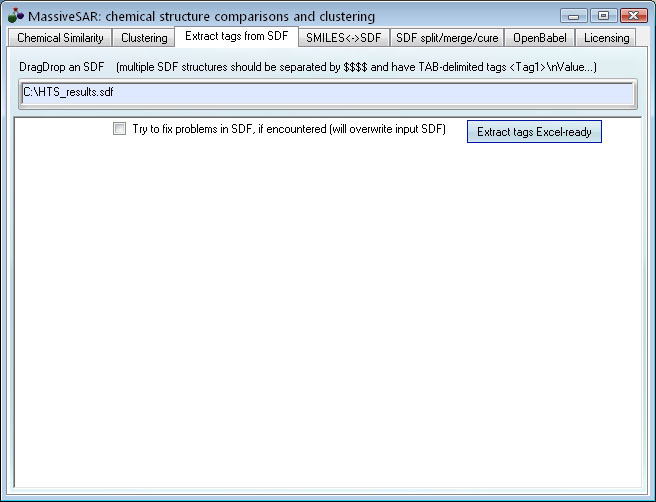 This software is most suitable for finding related chemical structures and for establishing structure-activity relationships (SAR) within experimentally generated molecule sets or libraries of small molecules. non-obviously related compounds. To learn more, read about Tanimoto scoring and Open Babel. 4. 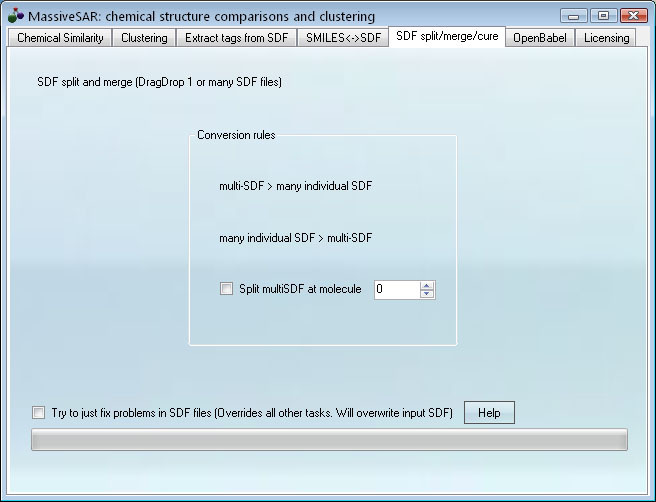 Easy DragDrop-based SDF clustering with minimum tuning or setup steps. The input: a SMILES string and an SDF database containing many small molecules. 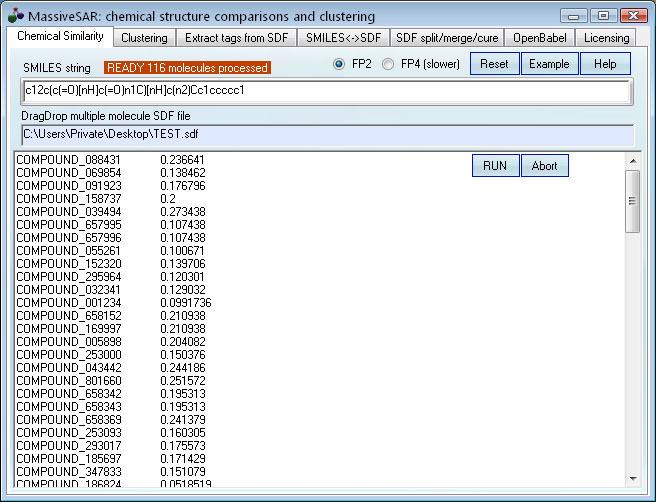 The output: a list of similarity indexes between the SMILES query and each molecule in the SDF file.